Kongsberg PROTECTOR MCT-30R turret solution on TATA Motors Kestrel 8x8 armoured vehicle. Konsberg PROTECTOR MCT-30R mounted on TATA Motors Kestrel 8x8 armoured vehicle. “This is a unique opportunity for KONGSBERG. Demonstrating our latest innovation in one of the largest markets in the world on Tata Motors WhAP (Wheeled Armoured Platform) Kestrel provides a fantastic start in entering this market,” says Espen Henriksen, President of Kongsberg Protech Systems. KONGSBERG’s PROTECTOR MCT-30R is the latest extension to the KONGSBERG PROTECTOR RWS family of products, which includes the PROTECTOR SuperLite, PROTECTOR Lite, PROTECTOR M151/CROWS and PROTECTOR DRWS. To date more than 17.000 RWS systems have been delivered to 17 countries worldwide, and remains the leading remote weapon system on the market. The PROTECTOR MCT-30R is truly a ‘best of breed’ product combining decades of experience and innovation. The system has proved itself during extensive test activities in Norway, Europe, US, and the Middle East. PROTECTOR MCT-30R is the result of an intensive effort to provide a system with exceptional lethality and precision, high reliability and innovative technology to address the operational and functional requirements of today’s armoured platforms. The PROTECTOR MCT-30 Station is a turret solution designed for 25-50 mm cannons mounted on wheeled or tracked armoured vehicles. This 21st Century Turret with low signature and reduced weight provides increased mobility and survivability. 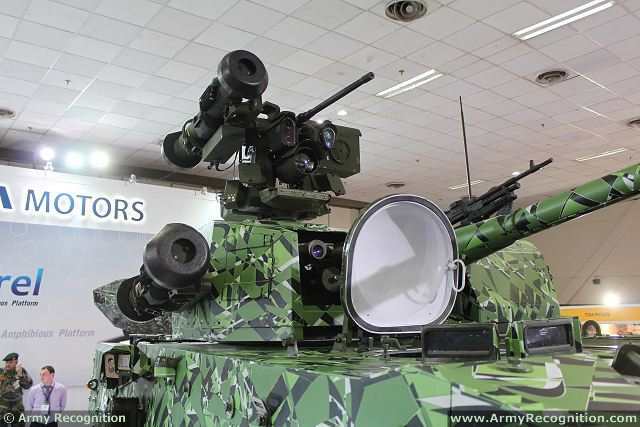 The MCT-30 RWS can be fitted with co-axial machine gun, blue force tracker,, active protection systems and commanders independent Remote Weapon Station. 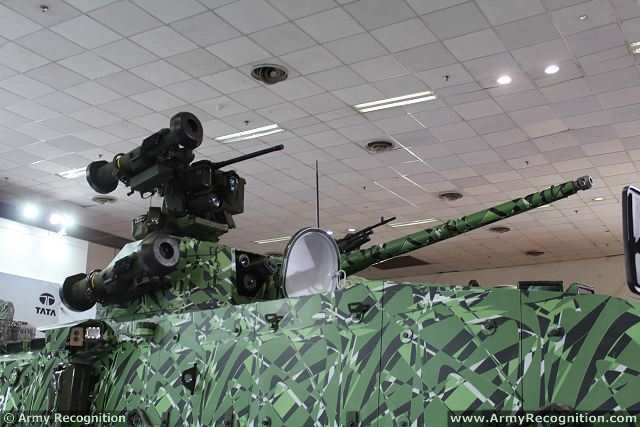 A Commander’s Independent Weapon Station (CIWS) with an integrated Javelin Missile launcher will be integrated on the MCT-30R as part of the exhibition.